LG announced a holiday promotion on some of its high-end smartphones, which will debut on December 16 on Amazon. Only three products will be discounted during the promo, one smartwatch and two smartphones. For a limited time, customers will be able to purchase the LG V40 ThinQ for $200 on Amazon, while the LG G7 ThinQ, the company's other top-tier smartphone will be available for $150 off. Also, the company's LG Watch W7 will be on sale at Amazon for $200 off, but this specific deal is already live and it will be available until December 22. The deals on the LG V40 ThinQ and G7 ThinQ will be up on Amazon from December 16 to December 29. Of course, both phones come unlocked, but more importantly, they work on major GSM and CDMA carries in the U.S, including AT&T, T-Mobile, and Verizon. Despite the fact that its global market share shrunk considerably in the last few years, LG maintained its business in the United States quite well, and it's now ranked third biggest smartphone company in the country after Apple and Samsung. LG announced an organizational change late last month meant to turn things around. Brian Kwon will assume leadership of the mobile division, after playing a critical role in transforming LG's TV, audio and PC business into category leaders. 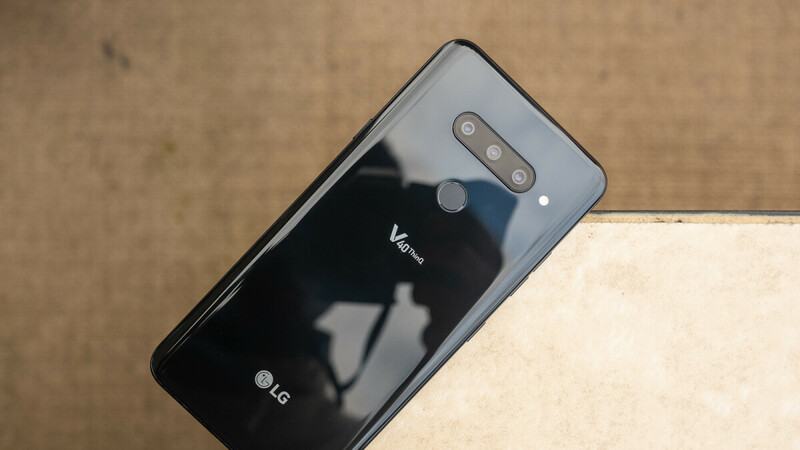 This article states that Amazon is selling a new, unlocked LG V40 ThinQ for $200, and is discounting the G7 ThinQ by $150. But I have searched on Amazon and can't find either deal. If this deal is really available, can you please post links? If not, perhaps you should update the article to indicate that the deal has been cancelled.